Butterfly 2m Translucent/Bounce Package - €20.00 : Shadeena Rentals - The more you rent, the less you spend! 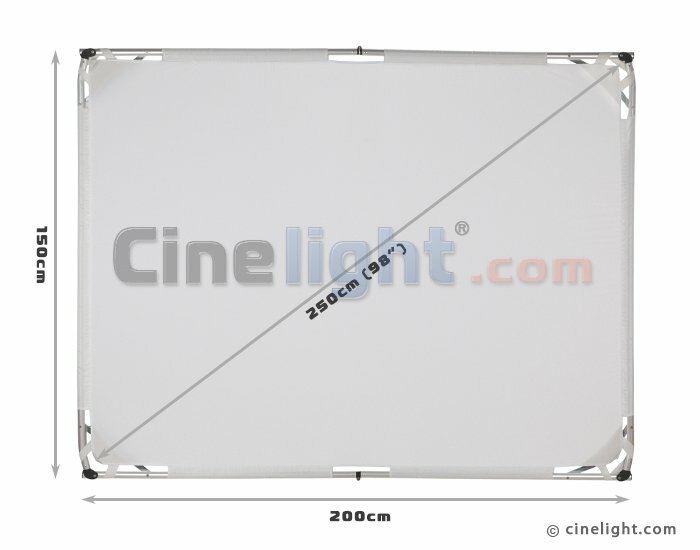 This easy to setup butterfly is a large size diffusion panel that consists of collapsible aluminum frame for an easy setup and operation. The frame is made from strong lightweight aluminum with special folding sections to allow easy storage with the minimum of effort. The diffusion panel is held in place by strong touch fastener edge strips for a secure grip. The flag features a translucent white surface to diffuse the light. The material is UV treated to withstand long exposure to sun.